Most job postings have closing dates. This date is the deadline for applicants to turn in the job application and other required materials as outlined in the job posting. The closing date is a milestone in the hiring process because all events before it builds up to it, and all events that follow are predicated on it passing. Many times, the deadline date is the only certain date in the hiring process. Other dates are targets and not absolutes. 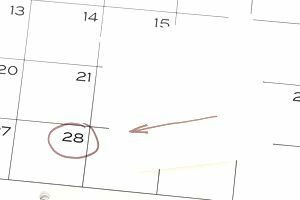 While not always necessary, closing dates help both the applicant and the organization. While applicants can never truly know where they stand until it is all over, the closing date at least gives them a data element for making an educated guess about when they can forget about getting hired. If you submit your material and two months go by, it's a pretty sure bet you didn't make the cut, and you can move on to other job postings. Organizations benefit by using the closing date to draw a line in the sand for rejecting late applications. The date provides justification for discarding any applications that come in after the deadline. On the day after the closing date, the hiring process kicks into high gear. The closing date gives applicants a time frame. They use the date to prioritize the actions they need to undertake in their job search. If a person intends to apply for a job posting that closes in three weeks and another that closes in two days, the applicant will almost certainly prepare the necessary materials for the posting that closes in two days before the closing date that is further out. The closing date also helps applicants anticipate when they will hear back about the job. There is no way to know for sure when this will happen, but the experience is a good guide in this respect. Many organizations do not notify applicants that they were passed over unless they had an interview. In this case, applicants who don't receive interviews are left just to give up after enough time passes. Hiring managers are almost always in a hurry to fill a vacant position. They are often in a waiting mode between the time that a job posting is published and when it closes. During that time, the position's workload must be handled by other employees, which is doable in the short term, but in the long run, it can lead to burnout and resentment among existing staff. Because of this, some managers and human resources staff prefer to screen applications as they come in. While some managers like this "revolving door policy," others still prefer the traditional standard of waiting until all of the applications are in. What is most key is the screening process. If a good screening process is in place, applicants are measured against an objective set of standards, not against each other. Large government organizations that focus on a few discrete functions often have major subsets of employees who all do the same job. For example, major metropolitan cities have hundreds and sometimes thousands of police officer and firefighter positions. These cities may choose to advertise a job posting without a closing date and human resources staff members screen applications as they come in. Those who do not meet the minimum requirements are rejected. Postings without closing dates can also be positions that are difficult to fill or ones that are vacant infrequently. An example of a position that is difficult to fill is a psychologist at a small-town state hospital. If the hospital left the job open for a month, it is unlikely they would receive a sufficient number of applicants. However, if the posting stays open for several months, the hospital can slowly build a viable applicant pool. The downside of not having a closing date is that applicants who submit their application materials early may not be available a few months later because they accepted jobs elsewhere. When vacancies occur in a position often, that means the organization has a sizable number of identical positions with high turnover. For instance, correctional facilities and protective services agencies tend to have high turnover in their front-line positions, such as correctional officers and social workers. Those organizations may post positions without closing dates so that they can continuously receive applications. Once a vacancy occurs, a hiring manager can request that the human resources office send all the applications that have come in since the last job hiring round. When submitting a job application, it can seem like your application went into a black hole. It’s an especially easy assumption to make if, like many applicants, you don’t hear back from anyone for a while. The reality is there's a lot of competition out there, and it takes time for any organization (whether it's a tech startup or a large government agency) to get through all the applications. Although every hiring process is different, most organizations strive to fill their open positions in 80 days or less. As a general rule of thumb, after the job is posted and closed, the hiring body should decide within six to eight weeks. If you do not receive any communication regarding the position within 15 to 20 days after the closing date, you may want to reach out to the contact person listed in the job announcement.